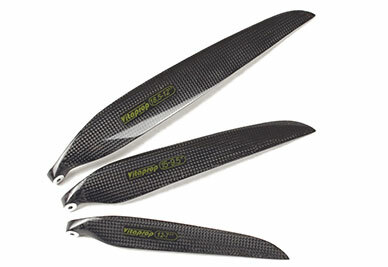 Vitaprop Carbon Fiber folding propellers were specifically designed for high performance electric motor applications. 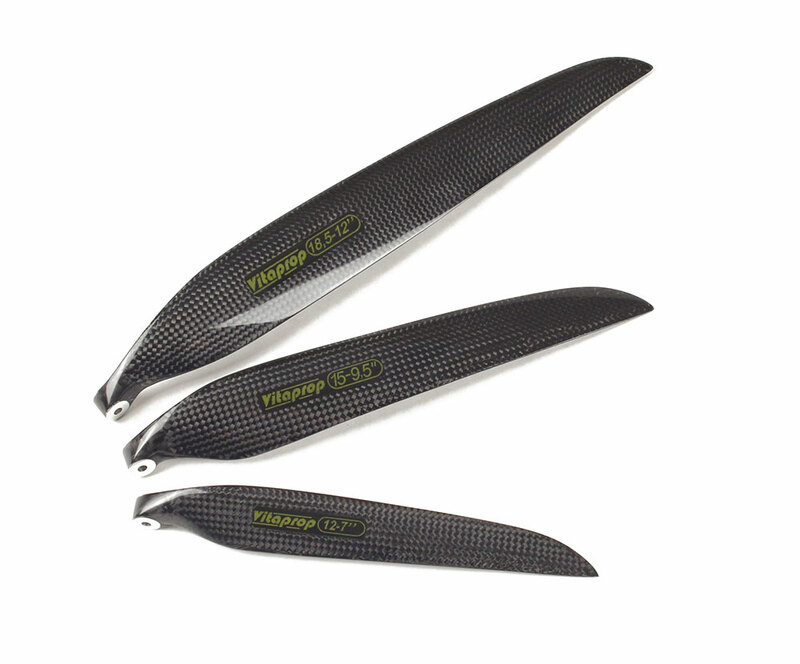 Propellers feature a high Carbon Fiber content allowing for a super lightweight propeller. 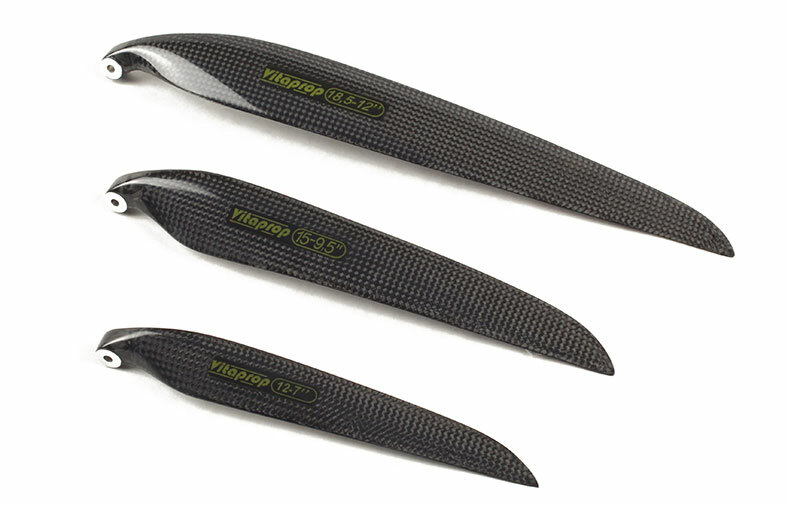 Professionally laid Carbon Fiber cloth maintains maximum torsion rigidity while the aluminum shoulder inserts ensure extremely high durability with superior flight performance.